JUPITER, Fla. -- Brian Buckley keeps a basket of baseballs and a few Sharpies behind the desk at Abacoa Golf Club. Abacoa Golf Club in Jupiter is a great place to golf AND see big leaguers up close. It may not be the usual run of supplies for an assistant head golf pro. But it comes in handy when a Chris Carpenter or Jim Edmonds saunters in. "If you work here, you can get an autograph from pretty much every baseball player in camp," Buckley said. "I hand the signed balls out as prizes for the Junior Golf program." It doesn't take a genius to figure out that Abacoa's clubhouse is a good place to spot Major League Baseball players during Spring Training. The St. Louis Cardinals practice and play their spring games in the Abacoa sports complex; so do the Florida Marlins. 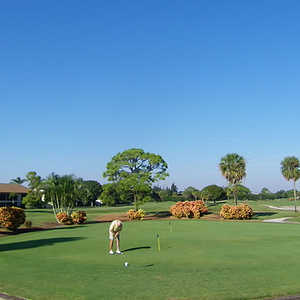 And this is far from the only south Florida golf spot to double as a ballplayer hang come spring. Baseball and golf are closely linked in these days before the games start counting. "A lot of times we'll be in a towns where there's not a whole lot to do. And you have free time," Cardinals pitcher Mark Mulder said. "Golf is a good way to get your mind off baseball, while still being competitive. Heck, Babe Ruth probably brought his golf clubs to spring training." Mark McGwire certainly did. Everybody expects MLB stars to golf through the Grapefruit League with entourages. Only, that's not always true. McGwire was such a golf nut that he often ended up playing with regular hackers when the courses were crowded. Joining you today, Mr. and Mrs. Anderson will be baseball's first 70 home run man. Just ask Gary Pohrer. This diehard Cardinals fan played a round of golf with McGwire and his son a few years ago in the Palm Beach area. "He's a really quiet guy," Pohrer remembers. "But he hit the ball a mile." You can bet every detail of that round is embedded in Pohrer's golf memory -- and he's a guy with plenty of those, having played two years on the Hooters Tour for two years. "How long did I leave McGwire's message on my voice mail?" Pohrer asks a friend. "Way too long," the guy shoots back. "We made fun of you for it." Pohrer smiles. Like he cares? He golfed with Big Mac. Not even the most dedicated south Florida golf-club stalker is likely to hit a homer like that. But knowing where the big leaguers like to take a swing might just give you something more unique to remember from your spring training trip than standing outside the batting cage with hundreds of other fans, waiting for an autograph. If you're not a Cards or Marlins follower, deducing where your heroes are going to sate their golf jones isn't quite so elementary. Take the New York Mets, for example. They train in the small, relatively sleepy town of Port St. Lucie. 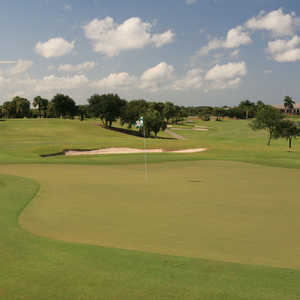 The golf scene is dominated by PGA Village, with its three public courses and outstanding PGA Learning Center. So you just hang out there waiting for Tom Glavine and David Wright to turn up, right? Not exactly. What many visitors don't realize is that there's also a private PGA Country Club with its own clubhouse. And this Jim Fazio design is the ballplayers' choice. "The Mets are at the Country Club more than anywhere," PGA Village Head Professional David Trout said. Sometimes the prime hangout is off-course. With its slightly sophisticated menu, Port St. Lucie's West End Grill draws the players (all the Mets are represented on a wall autograph board). In Fort Lauderdale, spring home of the Baltimore Orioles, high-end eateries like Capital Grill, the Blue Martini and Seasons 52 attract bat-swinging celebrities. So does the Galleria mall, where Ferraris, Lamborghinis and short-skirted blondes line up to be seen. 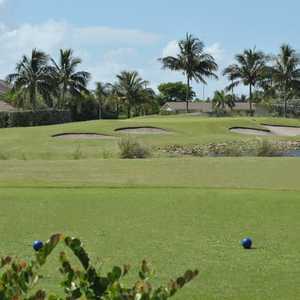 For golfing, Fort Lauderdale's multimillionaire athletes favor the Diplomat Country Club and Deer Creek Golf Club. People expect Vero Beach to be a bigger town than it is because Dodgertown's been so famous for so long. In actuality it's a tiny place -- one of the reasons the Dodgers are moving their spring training to Arizona starting in 2009. At least you can do Vero Beach it right, as it approaches baseball swan song. Skip the quaint, short nine-hole Dodgertown Golf Club that's right behind the outfield wall - at least if you're looking to golf where Nomar does - and head across the street to Dodger Pines Country Club. There you'll find a nearly 700-yard par 6. Going to the Washington Nationals' Space Coast Stadium in Melbourne might be a great way to dodge the Spring Training crowds. Many of the Nats would probably be happy for you to golf with them too, provided you can recognize anybody on this no-name, low-payroll squad. Maybe you can ask closer Chad Cordero to wear his hat as crazy flat-billed on the golf course as he does on the pitcher's mound. "You're mostly going to see pitchers out on the golf course," Mulder said. "We're the ones with the most time." Then again, perennial MVP candidate Albert Pujols runs his own celebrity golf tournament every year. Who knows when he'll be out at Abacoa getting in some practice? Better keep a few baseballs in your golf bag.